Career or Jobs Questions That Don't Fit Elsewhere? Have a career jobs question? 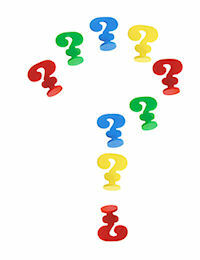 On this page, you ask & I answer miscellaneous questions about careers & jobs. There are many specialty topic pages in this Ask the Expert section of the Your Career Connection website. But there always seem to be those miscellaneous questions that come up that just don't fit neatly into any of the other categories. So, that's why I created this miscellaneous topics page... just for those sort of oddball questions! Click below to see more miscellaneous questions from other visitors to this page, along with my expert answers. Clicking on the Comments link at the end of a question page may provide even more info or input. How to explain left employer due to verbal abuse? Should I mention I worked for a family owned business? Should I list my current job separately? How can I list multiple summer camps with the same responsibilities in a shorter way. When cold calling, is it better to hand deliver or mail my resume? How to handle a current employer situation with a potential offer? Do you have any tips for 50+ age group when writing a resume? Do I do the work BEFORE I am hired? What kind of key words can I use to explain my job duties as a housekeeper? How to summarize this statement of achievment? Why should I have a professional company prepare my resume? How does one deal with a bad work reference from your last employer? How do you state that you took a demotion in order to go back to school for Master's Degree? When does a reference become outdated or irrelevant? How to fix salary blunder? Should I correct a resume sent with an error on it? What does it mean when an employer says, 'Please, apply in writing."? Can you give me examples of the objective section of a resume? What Would Be My Objective When Applying for a Call Center Job? Should I / how can I show that I am known by my middle name? What's the Best Way to Say I'll Relocate at My Own Expense? Should my letters of reference be in sealed envelopes? How Can You Ask About Telecommuting Without Seeming Lazy? Should I Include Letters of Reference With My Resume? How Do I Express a Name Change? How Can I Find Out If a Position Has Been Filled? What Is the Best Service to Use to Sell Myself?